An in-depth visit to Kanha & Bandhavgarh National Parks, which are the best places to see tigers in India and is where Stephen Mills, tiger specialist and BBC film-maker has been studying tiger groups since the 1980’s. 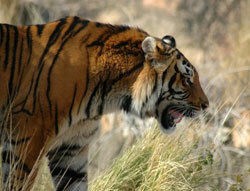 Quality time will be spent tracking tigers and observing other wildlife including leopards, sloth bears and wild dogs. Kanha has a very healthy tiger population and is one of the best places in India to look for tigers. Immortalised in Kipling’s Jungle Book and more recently as the location for the films Land of the Tiger and The Tigress; Lakshmi. The park consists mainly of sal forests interspersed with meadows and meandering streams. Bandhavgarh National Park – a key Project Tiger reserve that is currently considered one of the best place in India for seeing tigers. In addition leopards, sloth bear, gaur, nilgar, chausingha, wild boar, jackal, chital, muntjac and sambar deer, rhesus macaque, black-faced langur, jungle cat and hyenas, as well as 300 bird species and many butterfly species. The Tiger’s Tale was filmed in Bandhavgarh. As well as tiger, Kanha & Bandhavgarh are famous for herds of barasingha and there is also a good chance of seeing leopard, gaur, sambar, chousingha, langur, chital, barking deer, wild boar and even possibly sloth bear. The bird life is diverse with over 300 species, including Indian roller, racket-tailed drongo, red and yellow wattled lapwing, black-headed oriole, black ibis, pied kingfisher and crested serpent eagle. Please read a diary from our last Tiger Safari. 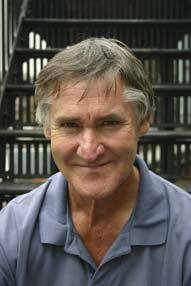 STEPHEN MILLS is a knowledgeable naturalist, acclaimed wildlife film-maker and author. He is an animal behaviour expert and has a broad understanding of conservation issues. His work focuses on endangered species and he has been studying tigers in India since the 1980’s and regularly writes about their plight and conservation issues. He is author of the BBC book ‘Tiger’ and wrote the BBC film Tiger Crisis, which helped to bring to international attention the rise in poaching for trade in tiger parts. As a writer, producer and cameraman, Stephen has made 35 films for TV, including, In the Tracks of the Rhino, Man-Eater: To Be or Not To Be and contributed to the series The Land of the Tiger, Life of Plants and Winners and Losers. Stephen is a regular contributor to articles in BBC Wildlife. He is an excellent communicator and exceptional wildlife host who will spend time helping you observe animals and interpret their behaviour so you have the opportunity to savour those intimate moments. All species are of interest to him and those of you who have travelled with him before will know that seeing wild dog, leopard and sloth bear are high on his agenda. Stephen is also a knowledgeable and enthusiastic birder. Everyone who has accompanied Stephen on safari has seen tigers – testimony that travelling with an expert in the field greatly increases your chances of seeing tigers. Day 2 Arrive Delhi. Welcome talk. Overnight. Day 3 Fly to Raipur. Drive to Kanha National Park. Day 4, 5, 6 Tiger tracking in Kanha National Park. Day 8, 9 , 10, 11 Bandhavgarh National Park. Day 12 Fly to Delhi. Overnight. Day 13 Day time flight to London.